When I Became A North Carolinian – Published Article! Death by Pumpkin, on sale now! Follow Rhe on her most intriguing adventure yet! Click the image above to purchase your copy from Amazon today! Click the image to buy it now on Amazon! This month is Black History month here in the U.S. 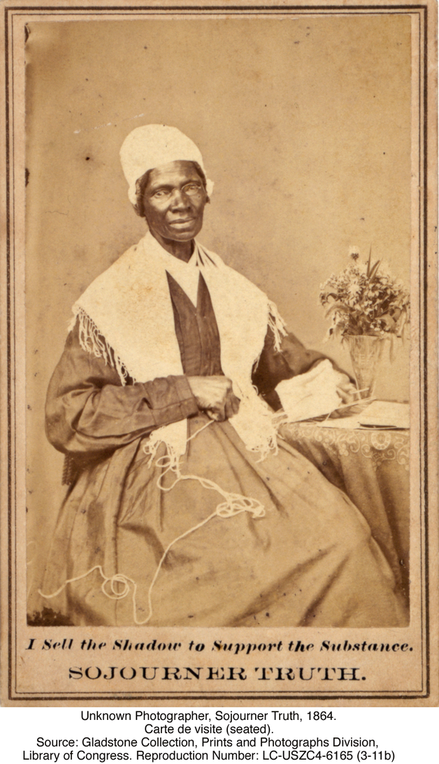 I would like to open the month by telling you about Sojourner Truth. She was born Isabella Baumfree in 1797 to slave parents in Ulster County, New York. When she was about nine years old, she was sold at a slave auction to John Neely for $100, along with a flock of sheep, separated forever from her family. Neely was a cruel and violent man who beat his slaves, including young Isabella, regularly. Before she was 13, she was sold two more times, the final time to John Dumont and his wife Elizabeth of West Park. When she was 18, she fell in love with another slave but was not allowed to marry him because they had different owners. Instead, she was forced to marry a slave named Thomas, who was also owned by Dumont. She eventually bore him five children. In the early 1800s, New York started legislating emancipation, but it was a slow process that would take over two decades to come for all slaves in the state. Dumont promised he’d give Isabella her freedom on July 4, 1826, but the date came and went, and he refused to let her go. The tall (six feet) woman was so incensed that Dumont had reneged, she left his household. taking her infant daughter. As she later said, “I did not run off, for I thought that wicked, but I walked off, believing that to be all right.” She was taken in by Isaac and Maria Van Wagenen in New Paltz, but Dumont came after her to claim his ‘property.’ Wan Wagenen bought Isabella’s services from Dumont for $20 and declared her freed in 1827. Dumont had one more card to play. After the New York Anti-Slavery Law was passed, Dumont illegally sold Isabella’s five-year-old son Peter. Isabella countered by filing a lawsuit to get him back. She was the first black woman to sue a white man in a United States court and win. While living with the Van Wagenen, Isabella she became a fervent Christian. In 1829, she moved to New York city with Peter to work as a housekeeper, first for evangelist preacher Elijah Pierson and then for another preacher, Robert Matthews. In 1843, with what she believed was her religious obligation to go forth and speak the truth, she changed her name to Sojourner Truth and embarked on a journey to preach the gospel and speak out against slavery and oppression. She became convinced God called on her to leave the city and go into the countryside “testifying the hope that was in her”. Truth helped recruit black soldiers during the Civil War and worked in Washington, DC, for the National Freedman’s Relief Association, rallying people to donate food, clothes and other supplies to black refugees. Her activism in the abolitionist movement gained the attention of President Abraham Lincoln, who invited her to the White House in October of 1864. While Truth was in Washington, she put her courage and disdain for segregation on display by riding on whites-only streetcars. When the Civil War ended, she tried to find jobs for freed blacks weighed down with poverty. In 1867, Truth moved to Battle Creek, Michigan, where some of her daughters lived. She continued to speak out against discrimination and in favor of woman’s suffrage. She was especially concerned that some civil rights leaders such as Frederick Douglass felt equal rights for black men took precedence over those of black women. Sojourner Truth died at home on November 26, 1883, leaving behind a legacy of courage, faith and fighting for civil rights. She gifted future generations with her autobiography, The Narrative of Sojourner Truth, which she dictated in 1850 to Olive Gilbert since she never learned to read or write. Clearly these words resonated through the next centuries, taken to heart by Martin Luther King. An extraordinary woman. Thank you for sharing her story, Noelle. An inspiring and courageous woman. Thank you for sharing her story. An inspiration to all of us. Very inspirational. She sort of takes a back seat to Harriet Tubman. Great story and and amazing woman! Thank you, and yes, indeed! An extraordinary life. Thanks, Noelle. Thanks for sharing Sojourner’s story , Noelle. Well done! Thanks for sharing her story, Noelle. An inspiration to all and still as relevant as ever. I can’t imagine how difficult her life was and yet she conquered! Gosh she was very brave and to be taken in and helped to be freed, heart warming story. An amazing story- what bravery! You really can’t imagine being a slave and having your children sold, can you, Noelle? It must have taken real courage to take on the slave owner. I can’t imagine and wonder what I would do if I lived in her shoes! I knew snippets of Sojourner’s story, but tiny snippets. We were not taught any of this when I attended high school, nor in this decade when I tutored and worked with students in their high school history classes. THIS is the real story of America. How I wish Sojourner’s life story would be shouted loudly in every classroom in middle and high school grades. You’ve touched me here, Noelle, by sharing this amazing woman’s story. Thank you! Thank you for the lovely compliment! I try to bring stories like this into my tutoring of middle school students – but they are SO busy! Urgh, that’s the problem. 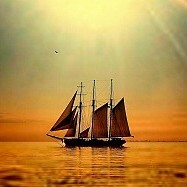 Sometimes what ‘has’ to be taught in school isn’t the same as what ‘should’ be taught in school!